Bill joined Blake Real Estate in March of 2005 as the Director of Operations. His responsibilities at Blake include all aspects of building operations and management, the physical plants, maintenance and engineering staff, training, and capital expenditure programs. His background in the hospitality industry gives Bill a strong sense of customer service which he carries over to all of our maintenance and engineering teams. Bill is a widely respected industry leader in commercial real estate engineering. 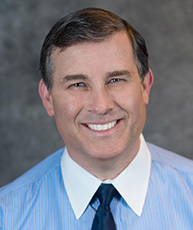 Before joining Blake Real Estate, Bill served 5 years in the US Navy as an engineer. He then joined Hyatt Hotels, and spent 23 years both here in the United States and in Canada as a senior engineer. From 2004 to 2005, Bill worked as Chief Engineer for Gannett Corporate Headquarters in Mclean, Virginia. He is a member and instructor for the National Association of Power Engineers (NAPE), and a member of the Association of Energy Engineers, BOMA, BOMI, and USGBC. In his free time, Bill enjoys sports and volunteering for charitable organizations, especially the American Red Cross and the American Heart Association.